Former president George H.W. Bush arrives for an NFL football game between the Houston Texans and the Indianapolis Colts, Sunday, Nov. 5, 2017, in Houston. Former President George H.W. 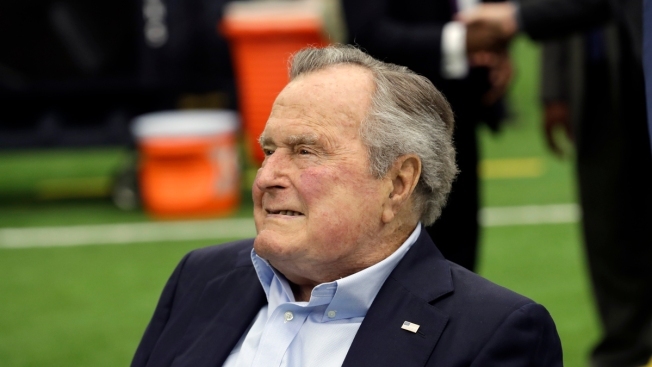 Bush was released from a Houston hospital on Friday after spending 13 days being treated for an infection that required his hospitalization a day after his wife's funeral.